The security camera space was different when Canary blew past $1.9 million in pledges on Indiegogo way back in 2013. These days, it’s a packed space with high-profile competition from Nest, Netgear, Blink and Netatmo, to name just a smattering. 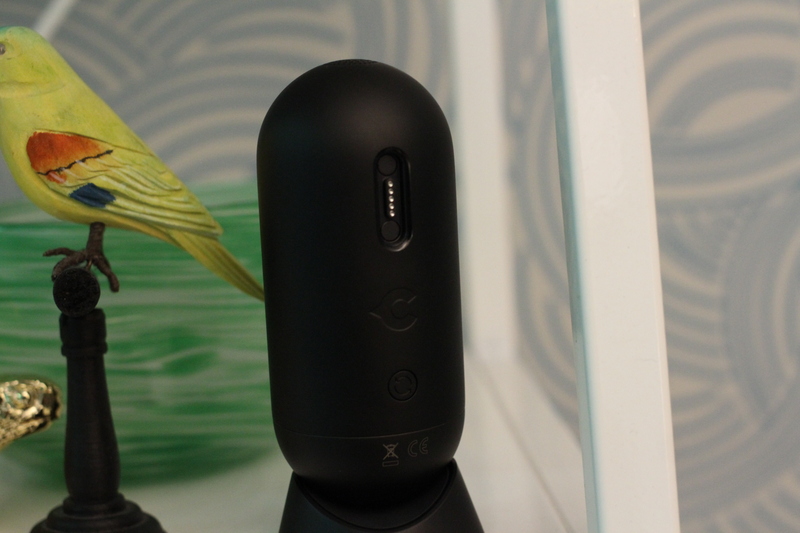 The original Canary camera was an imperfect but solid debut from the New York-based hardware startup, with good hardware featuring built-in perks like air quality measurement and a solid software offering that streamlined alerts and monitoring on a mobile platform. Announced this fall, the Flex doesn’t aim to replace its predecessor so much as augment it. The new camera isn’t as feature-rich as the original, but it’s small, battery-powered, weatherproof and just generally more fun. Canary hit a home run with the industrial design this time out. The Flex is pill shaped and small enough to hold comfortably in one hand, a perfect size for stashing on an out of the way bookshelf or mounting to a wall while going largely unnoticed. It’s small enough to pick up and move around, but designed to stay put. On the front is a 1080p camera with a wide-angle lens and a large glowing circle that changes color to alert the users of its connectivity status. At top is a circular speaker grille for two-way audio (coming soon), because, among other things, the ability to yell at intruders is apparently a very popular feature among security camera buyers. On the back is the power button and a magnetic power port for charging up the 6700mAh battery — or, should you opt to just go ahead and hardwire the thing in spite of its portability. The bottom has a standard tripod mount along with a pretty powerful magnet that attaches to the desktop base. The company also offers up a slew of different creative mounts for staking it in the dirt or tying it to pipe, among other things. In most indoor settings at least, however, the complementary stand should do the trick. Getting rolling with the Flex is simple. Admittedly, I had a bit of a leg up with a standard Canary already deployed at home. In that case, you simply turn the camera on, open the app and designate the location. “Office” versus “Home” in my case. From there it’s just a matter of pairing up the camera and answering a series of questions. 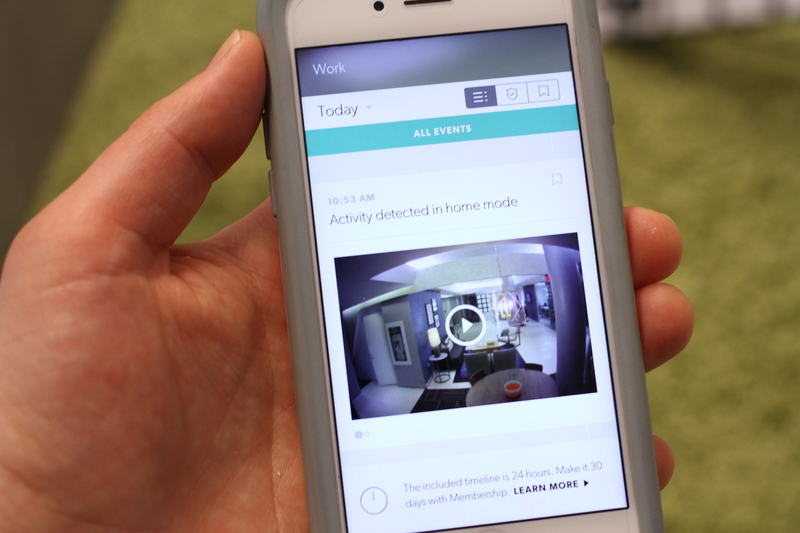 The company has been refining the software since the release of the original Canary and the set up process shows, allowing users to set time parameters for sleep, ensure the device doesn’t record when they’re home and designate what sort of motion will trigger an alert, including the ability to block out objects that aren’t people or animals. 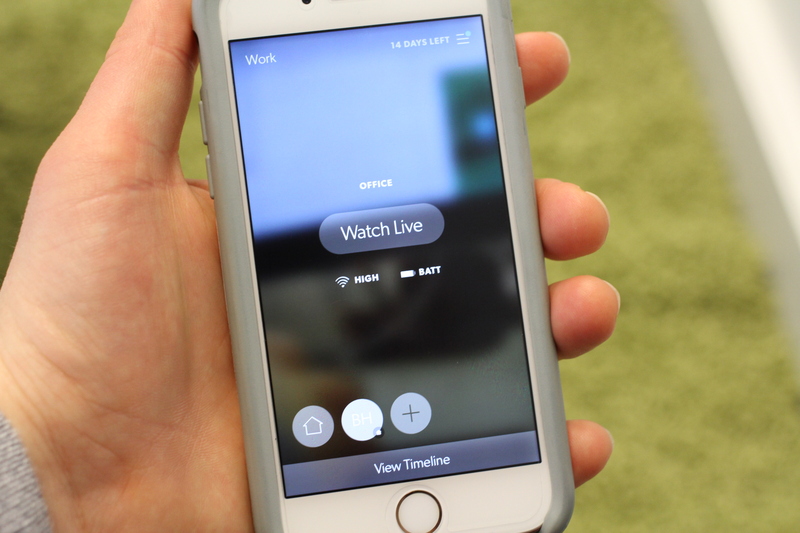 The mobile software offers a quick toggle between different locations, each of which brings up an individual timeline tied to different alerts, along with the ability to watch a live stream, along with icons letting you know the status of the battery and Wi-Fi signal. By default, the timeline saves a day’s worth of notifications. Anything beyond that will cost you $10 a month, which comes with 30 days of video history, bundled with insurance and a two-year device warranty. There are a slew of additional customization options, including the ability to add additional members for monitoring and drill downs on each of the different kinds of notifications, including mobility, connectivity and batter/power. Testing the camera in our big corporate office, I had some connectivity issues. Multiple times I got notifications that the camera was offline, though it would always reconnect itself. It may have to do with the glut of signal in our office space, or the nature of office Wi-Fi, but its an annoyance nonetheless. By default, the camera largely operates in Battery Mode — a sort of hibernation from which it awakens when motion is detected — or when the user switches over to live view (at which point it takes a few seconds to wake back up). The company rates the battery at “months,” though if you actively engage with the device or position in a high-traffic area, you’re not going to make it that long without a charge. The camera can shoot in 1080p, but as with many of these devices, the shot generally ends up being significantly lower res over Wi-Fi. It’s plenty clear enough for security purposes, and while the 116-degree field of view isn’t the widest on the market, I didn’t have an issue getting a lot in frame when I stuck it up high on an out of the way shelf. And like the standard Canary, the Flex also has built-in night vision detect that will trigger when the camera senses low light — or when the user initializes it manually over the app. At $199, the Flex slots in toward the higher end of the market, but is by no means the most expensive. Its portability and waterproofing make it a solid addition to the Canary family that leverage the company’s existing software and two years’ worth of upgrades and tweaks. There are still some things to work out, but the company’s certainly been attentive with issues in its original camera. 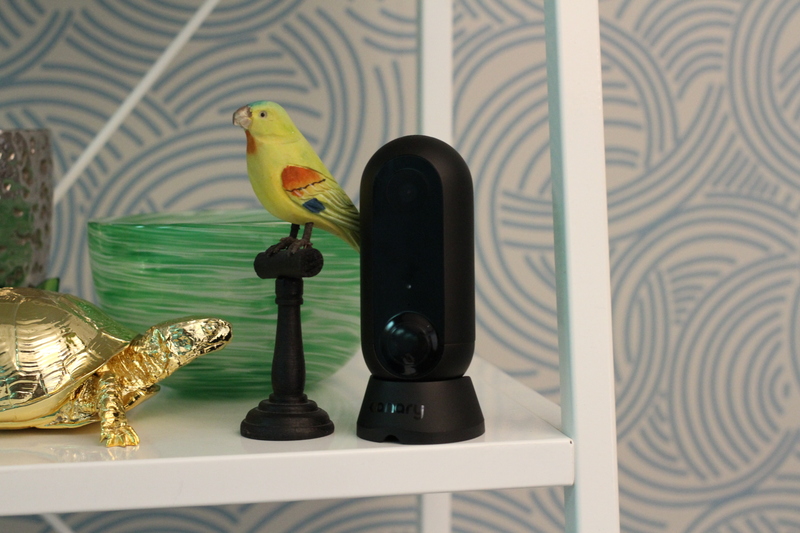 For those who already have a Canary at home, it’s a solid addition to help extend the product’s reach. For everyone else, the competition’s a bit more stiff — and it will be interesting to see how Netgear’s new outdoor offering stacks up.